Feed the World or Fight for Justice (or Both)? 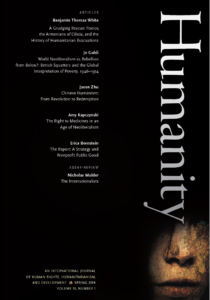 This is one entry in a roundtable on the NIEO, featuring short articles by scholars who contributed to Humanity’s recent special issue on the topic. Be sure to read other posts by Johanna Bockman and Patrick Sharma. A conference centre in the small town of Haslemere, 43 miles south-west of central London, is an unlikely place to start a revolution. But it was there, in January 1968, that a group of twenty-five “young and disillusioned” members of Britain’s NGO sector (acting in an individual capacity, but happy to be recognised as belonging to Oxfam, the Overseas Development Institute, Christian Aid, and a number of other agencies) met to spell out their critique of humanitarian aid and to generate some radical solutions to the global poverty crisis. They had much to debate. Beginning with the discussion of six or seven pre-prepared papers, the day ended with the group sitting up “till three in the morning trying to work out what could be done”. They retired united in their belief in a more radical approach to aid, and determined to make their voices heard to the humanitarian sector. Over the next five months, the group formalised its operations (under the rather unimaginative moniker, the “Haslemere Group”), and, in June 1968, published the Haslemere Declaration – a summary of its arguments, claims, and proposals for the future of humanitarian aid. It sold out almost immediately, its bold approach echoing the appetite for radical change creeping across the entire NGO sector: “we cannot continue to be merely polite, respectable and ineffective lobbyists for “more and better aid” when we have lost all faith in the ability of our governments to respond realistically to the desperate human need of the poor world”. The NIEO came at an opportune time in that debate. 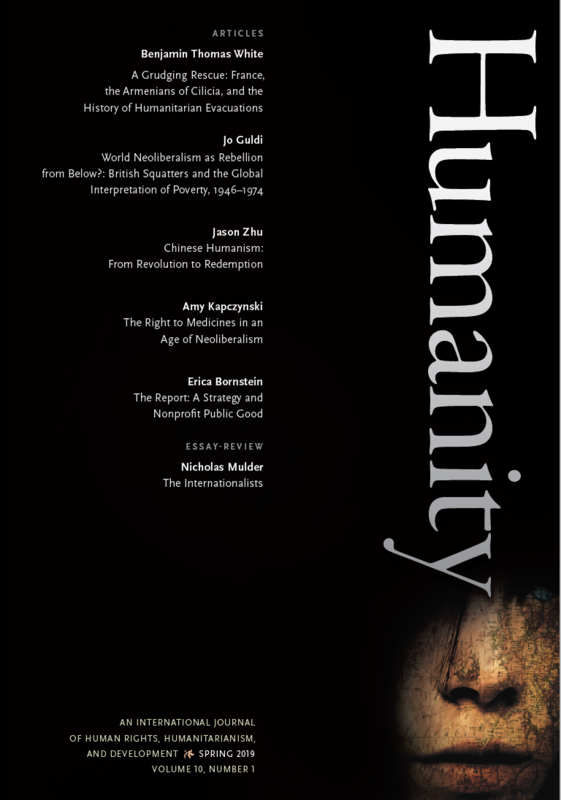 Its language of re-distribution, inter-dependence, and the possibility of a ‘new order’ that would close the gap between the “haves” and the “have-nots” became increasingly commonplace in international debate. “Justice”, in effect, took on a considerably different meaning when faced with more strident calls for fairer trade, and a re-balancing of the global economy. Taking that definition a step further, some NGOs translated the new global language of inter-dependence and the indivisibility of economic reform into an even more forthright form of solidarity with the poor of the Third World. In that sense they “benefited” not only from a strong shift in development discourse, but also from malaise of a very local form. The meltdown experienced by post-oil crisis economies across the western world allowed a number of organisations to link the unfolding domestic crisis to their own discussions over the roles of charity and advocacy in a rapidly changing world. The best example of this came in early 1974, when a group of six British agencies from across the NGO community (Child Poverty Action Group, Help the Aged, Oxfam, Shelter, the United Nations Association, and War on Want) came together to campaign for a greater awareness of homelessness, hunger, alienation, unemployment, and the myriad other symptoms of deprivation as problems requiring massive structural reform. Poverty, they argued, was “a single, universal problem: a problem which threatens us all and which, without a real cure, will continue slowly rotting the fabric of our future”. Those who argued in that vein did not, of course, have it all their own way. The depoliticisation of aid, the consolidation of north-south hierarchies of humanity, and the emphasis on disaster relief all continued alongside the “discovery” of justice in the 1960s and 1970s. One reason for that schizophrenia was the simultaneous emergence in the west of a narrative that focussed attention away from collective social and economic rights and towards the needs and rights of the individual. The rise of what Daniel Rodgers termed “the little platoons of society” – the fragmentation of collective approaches to community justice – contributed to that debate. So too did the frameworks in which the development industry operated, couched as they were in the terms of economic and social liberalism. Going back to that meeting at Haslemere in January 1968, it becomes clear that the group’s language and impact was heavily embedded in the context in which its demands were made. In spite of its attempts to foster solidarity with the Third World, the Haslemere Declaration’s tone remained oddly distant from those it hoped to support, pledging its commitment to “those overseas governments and movements who are asserting their determination to … create their own societies in their own way”. Yet there was something vital about the global imaginary that the NIEO generated. Away from the high-level diplomacy of the North-South Dialogue, the G77’s claims came to embody a spirit of global reform that proved highly attractive to those seeking a new model of non-governmental aid. Its language of interdependence opened up new ways of thinking about poverty and development. Most of all, this “NIEO imaginary” brought with it the alluring possibility of a more just world order. By the early 1980s that energy had all but dissipated in the re-assertion of Western (and particularly American) control of the global economic debate. But for a short period the language and claims that it made became a touchstone for NGOs in the west. The Abused Politics of “Minorities” and “Majorities”: Quantifiable Entities or Shifting Sites of Power? is a lecturer in history at the National University of Ireland, Galway, and is also an honorary research fellow at the University of Birmingham. His first book, Ireland, Africa and the End of Empire: Small State Identity in the Cold War, 1955-75, was published in 2012 by Manchester University Press, and he has written most recently on the history of humanitarian NGOs in the Journal of Genocide Research (2014) and in Marc Frey, et al., eds., International Organizations and Development, 1945-1990 (Palgrave Macmillan, 2014). His current project examines the social and political phenomena that shaped the rapid expansion of the humanitarian NGO sector globally in the long 1970s.